"Every choice you make is designed to get you where you are. You knew that was what you had to choose. You knew. You've always known. You've chosen to get there to get here. You got to Access to get the strength of you." 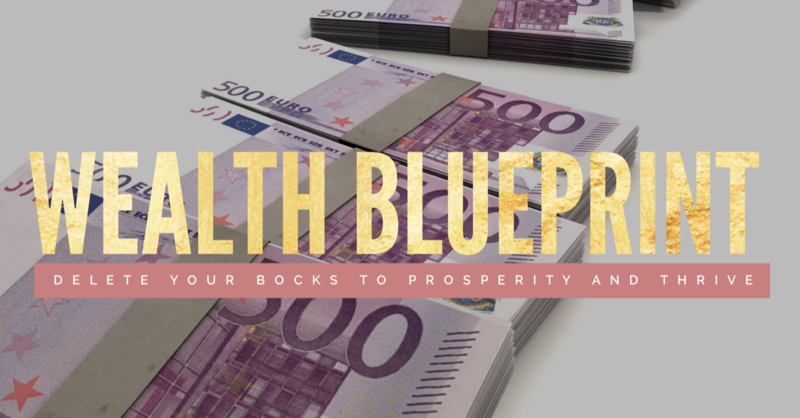 Wealth Blueprint is a deep dive into your subconscious beliefs about having and keeping money in your life and changing them so you can actually have money. Join me for a 6-week money journey and change everything you thought you knew about wealth? In this 6 week course, I take you through the most common stopping points about money and kindly transport you to a new space of kindness to you with money. What would your life be like if your relationship with money was kind? You can choose to stay where you are with wealth on one side of the fence and you on the other or you can jump the fence, will you? What will a 6 week deep dive do to your financial future? Using these same tools that I facilitate, I have taken myself to barely being able to afford a condo that wasn't worth the mortgage I had on it to now living in a 3700 square foot country mansion and having no mortgage on it. How does my life get even better than that? By helping you create what it is that you are here to create, that's how! I do hope you jump the fence! Abundance and Prosperity FREE Bonuses! PDF Written Clearings for Wealth 1 What the Heck is Wealth? Video What the Heck do I do with Wealth? What the Heck is Wealth Intermediate: Is Money Coming to Your Party?